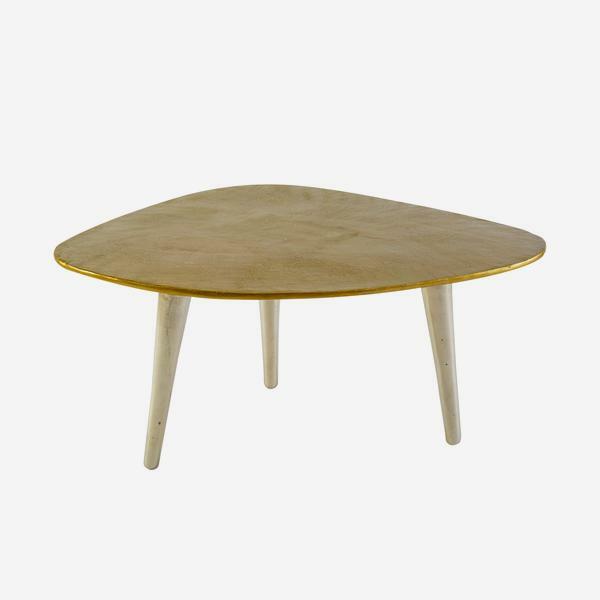 A coffee table inspired by the hanging shapes of Alexander Calder, who revolutionised modern art with suspended, leaf-like designs that move with the wind. 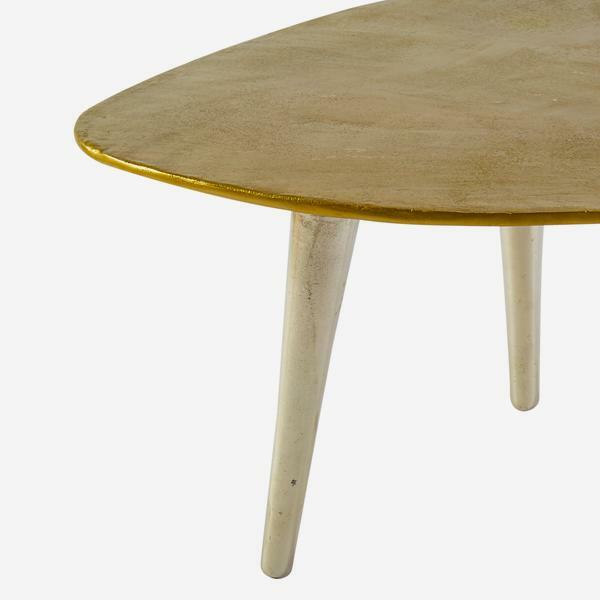 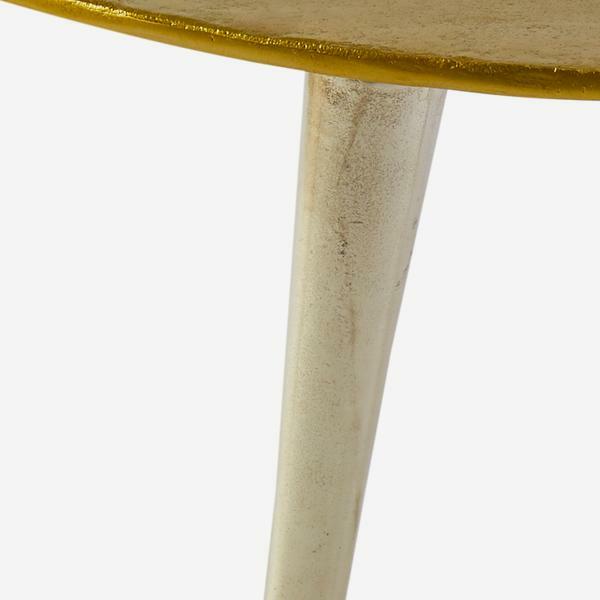 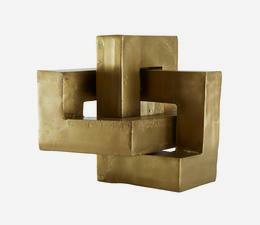 This coffee table displays a gold-look top with cylindrical silver legs for metallic contrast. 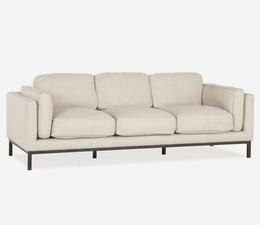 Its curving shape adds satisfying tactility to a room. 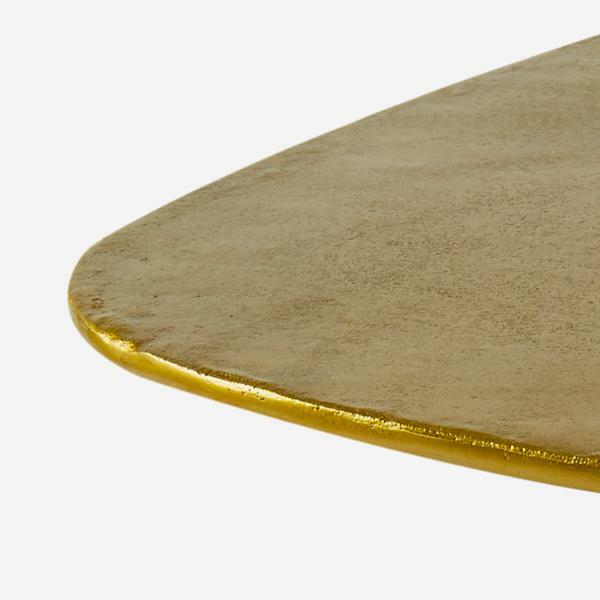 Handcrafted in India, each piece has unique markings and may vary in appearance.